See more at the Project SOIL website. Mount, Phil, & Knezevic, I. (2015, September 30). 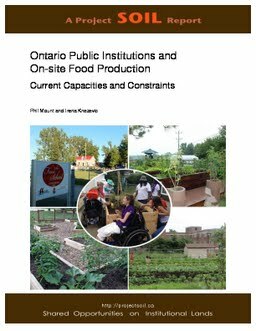 Ontario public institutions and on-site food production: Current capacities and constraints. Project Soil.